Bruce Shostak established his New York City-based interior design firm in 2004. His interiors are rooted in tradition and classicism, and are executed with well-edited clarity and contemporary sophistication. Working in close consultation with each client, Bruce develops comfortable interiors that are harmonious with each space and reflect the way the client lives. Projects in the tri-state area include prewar apartments on Manhattan’s Upper East Side; houses in New Jersey and Greenwich, Connecticut; and country retreats in Columbia County, New York. Bruce earned his bachelor’s degree from Vassar College, where he studied English literature and art history. While following a career in New York book publishing, he recognized that his lifelong passion for design, art, antiques, and architecture should lead him in new directions. 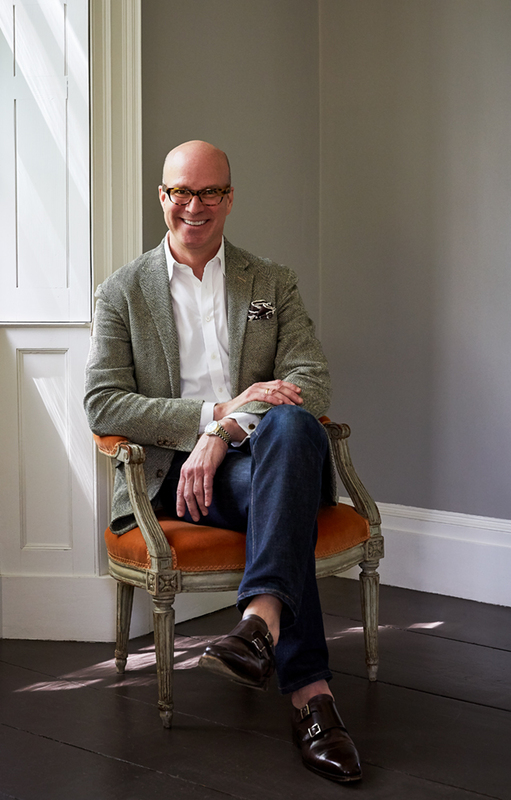 He became a senior editor of books on decorating and entertaining at Martha Stewart Living Omnimedia, and subsequently editor in chief of Smallwood & Stewart, a book packager specializing in full-color lifestyle books, many created with Country Living and House Beautiful magazines. Bruce left the publishing world to spend a year studying American fine and decorative arts in the American Arts Course at Sotheby’s Institute of Art in New York. He has also worked as a photo stylist for numerous books on decorating. This background, combined with the experience and knowledge gained while restoring and decorating his own Federal-era house over the past decade, has uniquely prepared him to understand and anticipate his clients’ needs—and to deliver excellent results.